An investment holding company based in China specializes in equity investment, debt financing, and equity investment services. With capital commitment from both public and private investors, the firm currently has total assets under management of over US$4.5 billion. The firm is current investing from its newest US$100 million and RMB 1 billion funds that are set to close in 2016. Typical equity allocations range from US$2-6 million in an early stage company, while the firm can participate from pre-series A to pre-IPO financing rounds. The firm is currently seeking opportunities from China, US, and EU. 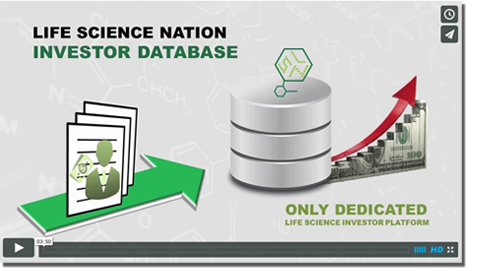 The firm invests across various sectors in life sciences. In pharmaceuticals, the firm is looking for innovative assets in the pre-clinical phase and is open to both small molecules and biologics. The firm focuses on diseases with large market potential such as oncology and cardiovascular conditions. In MedTech, the firm is looking for concept stage or post-prototype products that have large market potential and high entry battier. The firm is looking for experienced management teams. The firm typically syndicates with other investors and takes 10%-20% minority stake in a financing round. Board representation is often required. The firm prefers China-based companies, Chinese-owned foreign businesses, or products with a China-angel; however, this is not a requirement. The firm can provide its expertise to help with registration, distribution, M&A, and formation of joint venture and strategic partnership in the country.